Billy, the king of video games, began his career off the back of a particular arcade game: Donkey Kong. Though he's masterfully played many other games since, there's nothing quite like popping in a few quarters and returning to the arcade classic. Beginning a game of Donkey Kong requires the player to first insert at least D (1 ≤ D ≤ 5) dollars in change. 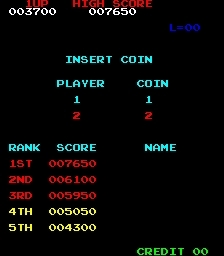 Billy had previously already inserted Q (1 ≤ Q ≤ 20) quarters into his personal Donkey Kong arcade cabinet. He's now looking to insert zero or more additional quarters so that he can start playing. What's the minimum number of additional quarters which Billy must insert such that the total amount of inserted change will come out to at least D dollars? The first line of input consists of a single integer, D.
The next line consists of a single integer, Q. Output a single integer, the number of additional quarters which Billy must insert. In the first case, Billy has already inserted $0.75 (3 quarters), and must insert an additional $1.25 (5 quarters) to bring his total up to at least $2.00. In the second case, Billy has already inserted at least $1.00 worth of quarters, so no more are required.